It was such a nice contrast today to visit an open area with sky and scenery after spending several days birding the rain forest. We set out at 5:30pm and headed for Manizales water treatment plant which is a huge area behind a dam with several large settling ‘tanks’ surrounded by reed beds and some woodland. The whole area is managed for fishing, wildlife watching and walking. We stopped for breakfast just outside of Manizales and it was nice to find lots of birds in the air and flitting about in the fields and hedgerows we made quite a good list from the restaurant which overlooked grass meadows and coffee plantations. The water Treatmnet plant called Campeguadua was a terrifc place and swarming with birds, the species in the bushes and trees kept us very busy before we even started scanning the lakes. 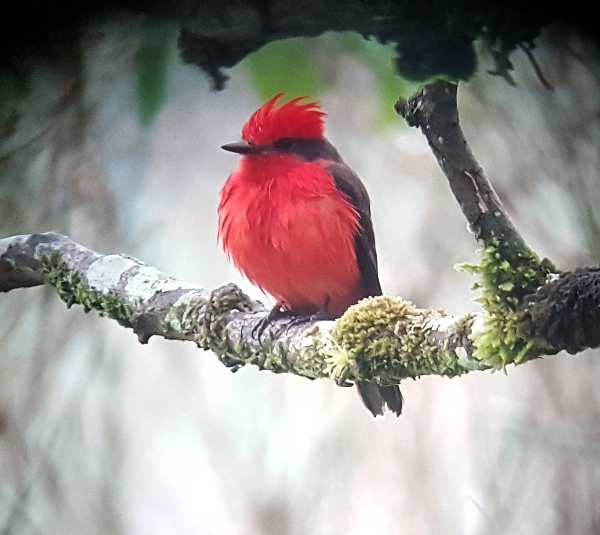 We added both Mouse-coloured and Sooty-headed Tyrannulets to the list and had great views of Blue-necked and Scrub Tanagers. 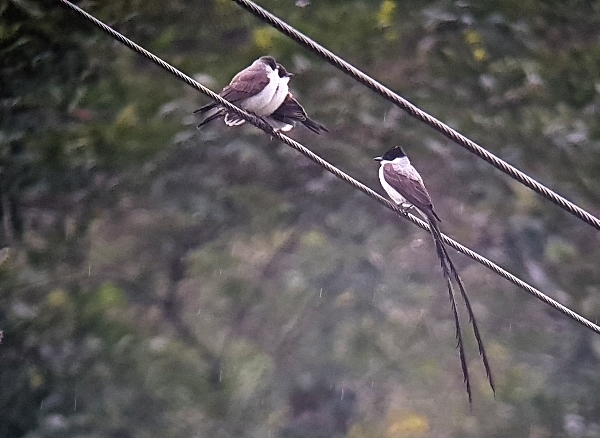 Yellow-bellied Elaenia joined Great Kiskadee and Rusty Margined Flycatchers in the bushes and we found three Fort-tailed Flycatcher flegdlings on a wire, they were visited regularly by either of the parents. We had excellent views of Blue-headed Parrots, Yellow Oriole and a Black-throated Mango Hummingbird. 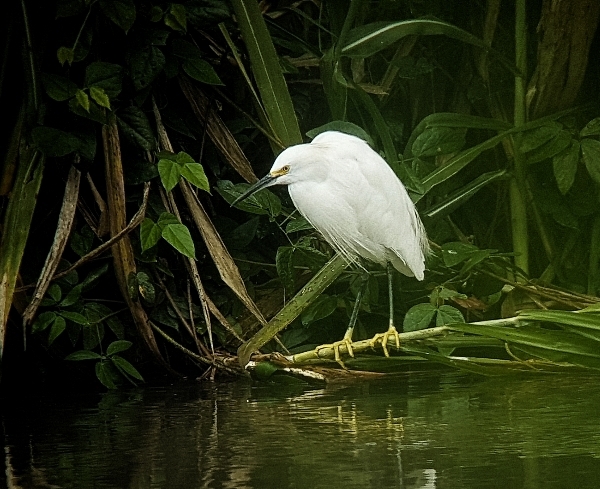 Scanning the lake produced a load of new species, Snowy Egret, Ringed Kingfisher, Green Kingfisher, Cocoi Heron, Black-necked Stilt and Little Blue Heron were all seen before it started to rain. Unfortunately the rain became too heavy so we retreated to the visitor’s centre to shelter where we scanned another part of the lake whilst drinking warm chocolate or coffee. An Osprey performed a successful fish-catching dive right in front of us and several Pied-billed Grebes joined many Blue-winged Teal out on the water. 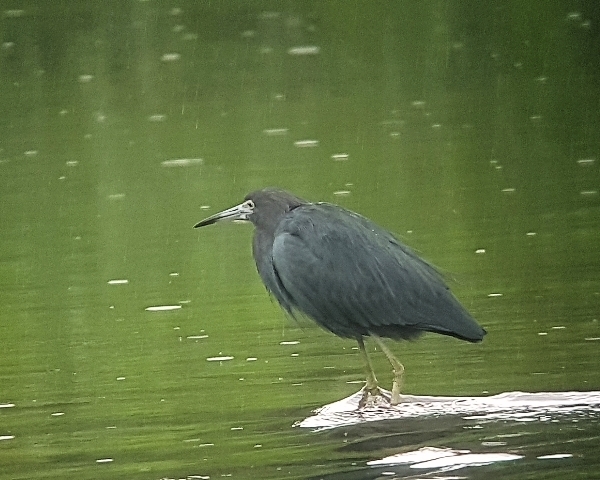 The rain eased off so we continued our walk, a Blackish Rail showed extremely well and we found Wattled Jacana, American Coot, PurpleGallinue and Lesser Gallinue. A Laughing Gull was a surprising find being so far from the coast but the usual shorebirds such as Spotted Sandpiper, Solitary Sandpiper and both Lesser and Greater Yellowlegs were expected. I must say this birding site was just fantastic and the whole group enjoyed a great morning’s birding, we saw over 50 species there! The afternoon was a damp squib after such a great morning, we had a lovely lunch in a roadside Ranchero before driving through Manizales to a track which leads up to the Paramo, at Los Tomales. 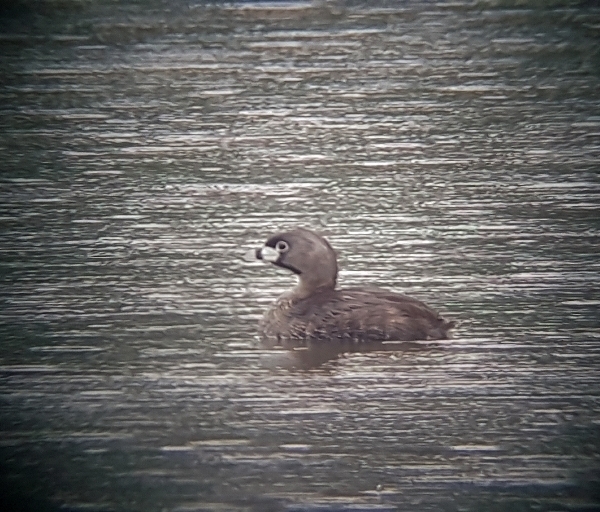 However, our birding was cut short by the weather, it grew very dull and started to rain but not before we got two excellent species in the bag. 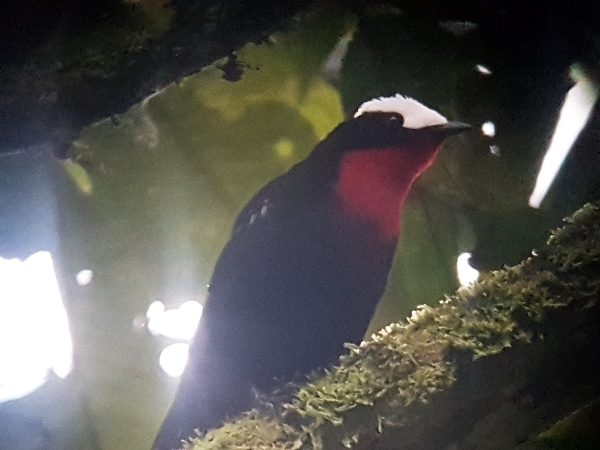 First a Dusky Phia was sighted and showed well then the most beautiful Tanager kept us enthralled for about 10 minutes, it was a pair of White-capped Tanagers, whoa!! What a bird -google it! Here is a poor record shot taken in very bad light. We arrived at Rio Blanco Lodge around 5:30pm is was totally dry there and we had enough light to watch the hummer feeders before getting ready for dinner. Several hummers were visiting the feeders: we noted Collared Inca, Buff-tailed Coronet, Fawn-breasted Brilliant, Long-tailed Sylph and White-bellied Woodstar. 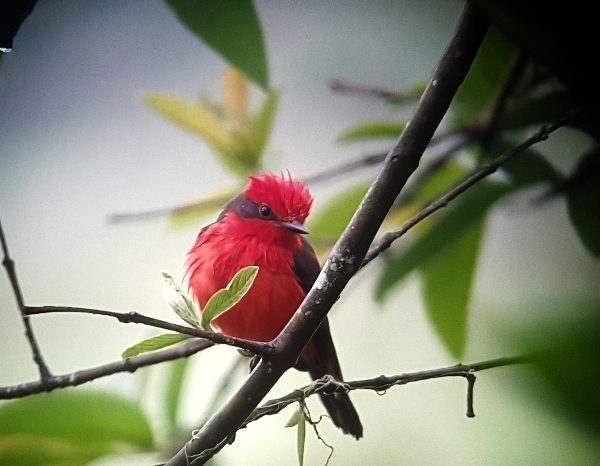 At the regular feeder we had great view of the beautiful Blue-winged Mountain-Tanager, also White-sided Flowerpiecer and other common tanagers. We ate dinner at 7pm and retired early in anticipation of another early start.